This is a crazy spelling be article I ran across today…. KANSAS CITY, Mo. 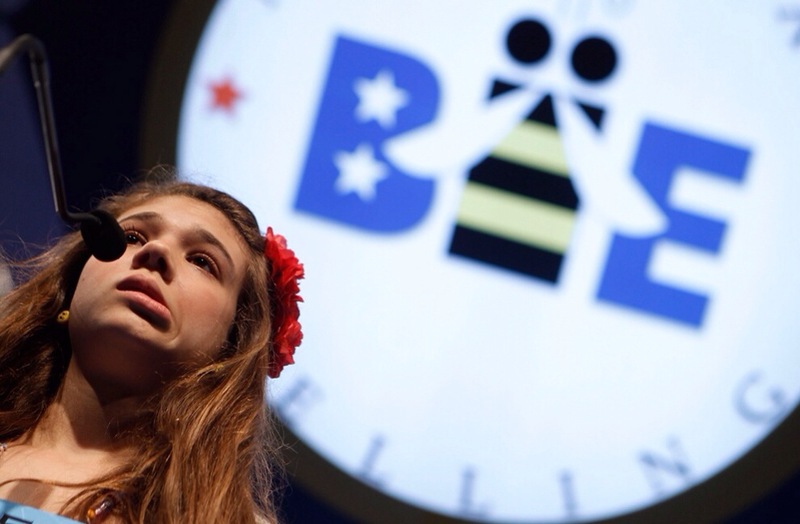 (AP) — After 19 rounds in a Missouri county’s annual spelling bee over the weekend, only two of the 25 contestants who started the competition remained. “It was legendary,” said Mary Olive Thompson, a library outreach manager and co-coordinator of the Saturday spelling bee. Sophia Hoffman, a fifth-grader at Highland Park Elementary School in the Kansas City suburb of Lee’s Summit, and Kush Sharma, a seventh-grader at Frontier School of Innovation in Kansas City, buzzed through the list of words provided by the Scripps National Spelling Bee. Then they ran through a list of about 20 additional words bee officials picked out of their Merriam-Webster’s 11th Edition during the lunch break, The Kansas City Star (http://bit.ly/NoHizS ) reported. But bee officials decided not to pull more words from the dictionary because they worried one speller might get a tough word and the other a relatively easy one, which wouldn’t be fair. Saturday’s competition went 66 rounds, she said, while last year’s bee ended after only 21.